Over the past several weeks, Eduardo and I have been talking a lot about Dark Souls 3. 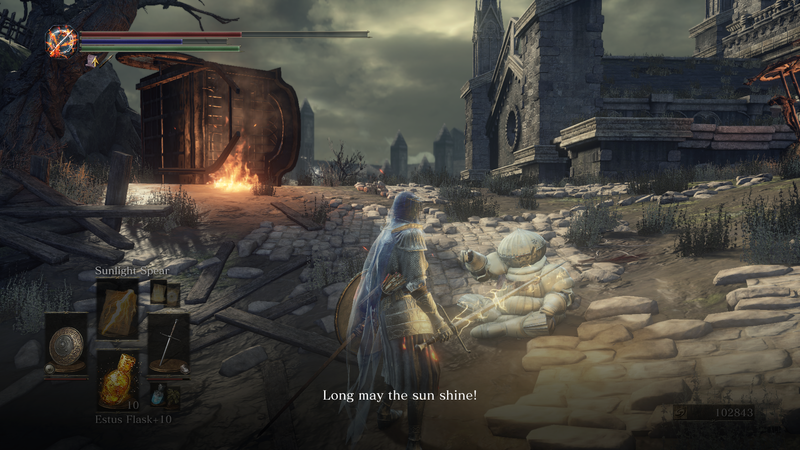 As the finale to the Dark Souls series and potentially the last of the Souls games entirely (though probably not), we had a lot of thoughts. As such, we decided to once more get together have another one of our long discussions in lieu of a typical review. Enjoy! Funny how it was just a year ago we were talking about Bloodborne and I said we’d probably see Dark Souls 3 eventually. I never would have guessed it would have been so soon. But here we are. Dark Souls 3 is out, and with it, the end of Dark Souls itself. Kind hard to believe it’s actually over given how rare it is for major videogame franchises to end. But man… what an ending. From Software really went all out on this. The world, the story, the combat, the art, the music (especially the music; good on them for signing the Bloodborne composers on for this) — everything was perfect. It’s by far the most refined and sublime these games have felt, which is fitting for the finale. I wasn’t expecting to see so many returning faces and familiar locales (Andre the Blacksmith and Firelink Shrine, spring to mind), but it feels right for the series to have come full circle for the end. Repeating cycles have been a big part of this series, after all. Which also makes it all the more appropriate for this to be the end. 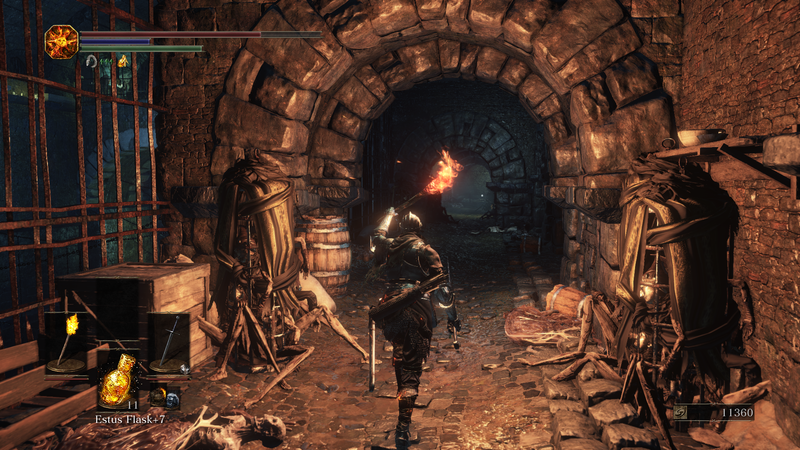 This is the third time we’ve explored the desolate landscapes of Dark Souls. Things are starting to feel very familiar now, the surprises lessening with each new entry. I haven’t started to feel fatigue with the series yet, but I’m glad they decided to end this series while they’re still ahead than continue to pump out sequel after sequel in perpetuity. I can’t imagine what else they could do to further refine the series in its current state. That said, it’s definitely a bittersweet feeling knowing that this it for Dark Souls. I know there will be more games of its ilk coming out of From Software (can’t imagine Bloodborne 2 or some other spiritual successor is too far off), and it’ll be nice to see them step away from this particular series, but still. Kinda sad to think this really is it (well, once all the DLC for it is out, anyway). Yeah, I certainly feel that way too. It’s cool that we’re getting a new entry in the franchise so soon after Bloodborne, for sure, but if they’d kept this up for longer, it’ll start to feel repetitive. Wouldn’t say stale, but definitely repetitive and lacking of real surprises. Not the kind of pop out in your face surprises, but the type that has us going “wow, I can’t believe they did this”, which is the high note of the series. I’ve always valued the franchise as a whole as something really special that we get to play once in a while, and for sure, Dark Souls 3 was no exception. I had a fantastic time making my way through it, and seeing the familiar locales and getting to interact once again with the returning characters was a blast. That’s the side of Dark Souls 3 that’s really blatant, without any attempt at subtlety: how reverential it is to the original Dark Souls. So much so that it makes playing that game beforehand practically a necessity in order to really appreciate all the little nods and homages that are scattered throughout this game. There’s no shaking the feeling of sadness knowing that this is the last Dark Souls game in title. As anyone remotely familiar with the site knows, the Souls games, Bloodborne included, are a huge part of both of our personal gaming stories. Heck, it’s the only franchise I can think of I actually bothered getting all the achievements and trophies for, in a time of my life I’m tending to care even less about that sort of stuff! These games are special, and it’s especially exciting to think about what would be coming next. I certainly think From won’t completely abandon this type of game in the future, probably putting out Bloodborne 2 as you mentioned, but I hope they try to move outside of the box, without any outside influences trying to steer their ship to the tried and true, like a lot of successful developers tend to these days. Let’s switch gears and get into the meat of this beast of a game! Right off the bat, I was both surprised and excited to discover that a little bit of Demon’s Souls had seeped into Dark Souls 3 in more than one way. The focus bar for me is an enormous improvement. It might seemed like something very minor in a game of this type, but having a way to keep your magic and skills always at the ready, without having to worry about running back to a bonfire right away was both exciting and terrifying. What did you think of this and other tweaks, Callum? I feel like the surprises now are less about presenting something new before us and more about playing with our expectations. There was a piece on Zam by Steven Strom recently that touched on this. The gist — and you all reading this should give that piece a look — is that this series keeps the element of surprise alive by designing around our expectations. And when you look at the progression of the series — Demon’s Souls and Bloodborne included — it makes sense. Dark Souls was a big departure from Demon’s Souls. Dark Souls 2 was similar to its predecessor, but it spread everything across a vast plane. Bloodborne took the formula in a new direction with a different setting. And Dark Souls 3 does the opposite of Dark Souls 2 by narrowing the scope of its world. And every time we were taken by surprise with how each game differed from one another. In that sense, they probably could have kept the series going for a while yet by continuing to play with our expectations. And they probably will continue to do that with whatever their next project is. But it’s fascinating to look back and see how they were able to keep each game feeling fresh without straying from its roots. I’ve been trying to think of another game series that did something along these lines, but I haven’t come up with anything. Most of the time sequels either deliver more of the same or become something very different. The Souls series is the only one in recent memory that sort of walked the line between those two paths. Each game is the same at their core, but they also feel distinct from one another. That’s a hard balance to strike. I’ve only just started trying to use magic and so far it doesn’t feel that different from Dark Souls 2‘s solution where you had roots you could eat to restore spell uses. Only instead of relying on a limited supply of consumables, you now have a renewable resource. Choosing how many Estus and Ashen Flasks you carry is a fun twist. I didn’t have to worry about that on my initial playthrough because I didn’t use focus points enough to justify carrying any Ashen Flasks with me, but now that I’m using a few spells here and there, I’m slowly having to consider how many of each flask I’ll need for a particular area. I’m undecided on whether I prefer the limited number of uses for spells or the magic point cost. I appreciate how the former ensured that you could always count on using whatever spell you wanted whenever (especially in Dark Souls 2 if you had enough roots on hand), but I also dig how they now require a little more forethought. Like, I don’t think you could run through an area only using magic because you’d run out of FP before you’d be anywhere near the next bonfire. Makes invasions less of a hassle since no one has access to any overpowered spells that basically one-shot you, it also seems to make magic-focused builds a lot less viable. That’s not a problem for me since I rely solely on melee combat anyway, but it is sort of weird because it takes so long for magic to be of any use. It’s worth the trouble, certainly, but it becomes a lot harder to stick with until those spells are viable. The weapon skills were by far the best thing to come out of the focus bar. Granted, they felt very situational instead of a key part of your arsenal — I only really used the Longsword’s skills when I was fighting knights since it was a far more effective way of breaking their guard than kicking — but they do allow each weapon to be a little more distinguished from one another. It’s not just a bunch of swords with slightly different damage values and stat-scaling anymore. I mean, that’s still prevalent, but at least there’s something more to them now. Boss weapons especially finally feel like something unique instead of a dressed up version of an existing weapon. The Demon’s Souls influence can be felt everywhere, though. The hub disconnected from the rest of the game world, the Fire Keeper and her obvious resemblance to the Maiden in Black, the restoration of ember form upon defeating a boss, the dozens of upgrade paths for weapons, how one of the bosses contains a direct reference to Demon’s Souls — it’s absurd how many similarities there are. For as much as this game is referential to the series’ lineage, it feels like Demon’s Souls was the biggest source of inspiration. But again, given Dark Souls‘ obsession with cycles, it feels appropriate that it comes full circle and draws heavily from the game that started it all. You have something going there in regards to the weapons you can make from boss souls. In previous games, Bloodborne included, I never really bothered making use of the weapons I crafted using items dropped by bosses. I only crafted them for each game’s respective achivement/trophy and kept using the trusty weapon I started the game with. While in Dark Souls 3 I did embrace only a handful of weapons, they did include quite a few of the boss crafts. And even then, there’s just so many of those that seem so much more viable that ever before, like you said, breaking away from being just mere rehashes on the common drops. In my playthrough, I made rare use of magic too. I tried keeping with the herald mold and level up faith, but those spells came so rarely, due to no one’s fault but mine for not finding the required NPC right away. I also thing the FP bar use for weapon attacks is quite brilliant, even though I hardly made use of them because it was something new to the game that didn’t really fit into my style of play. Those new attacks made less used weapons from previous games much more useful, while keeping the old favorites as much so as they’ve ever been to me. I still find it quite insane how useful some of these are damage-wise. You hit the nail on the head in regards to juggling the different Estus Flasks, balancing out what to use when. With that in mind, I found invasions to be a little more of a hassle this time around, mostly because of my foibles with the PVP system implemented in this game more than anything, but it’s also due to the healing quirks you mentioned. Going back to your earlier point about how the world is connected in this game, I did find it much smaller than Dark Souls 2. It wasn’t to its detriment, as its geography makes more sense than the previous game’s, but it still fell short in comparison to the first game. It’s probably due to all the warping you can do and the sheer amount of bonfires thrown about the map, though. It might be nostalgia talking, but nothing will come close to having to travel between locations like we did in the first Dark Souls. I think Demon’s Souls had a nice balance with warping and having you cross through areas on your own, which is present in this game, although diluted. Speaking of diluted, Dark Souls 3 is more about delivering quality over quantity. Boss-wise, this game probably sits on the more varied side of the scale. From did manage to bring out new tricks and tells in fights, but at the same time evoking a sense of familiarity in some of these encounters, to just about every one of the past games in the franchise, Bloodborne and Demon’s Souls included. It is smaller, but I feel like it had to be. If you think back on the narrative framing for the last two games, the large worlds made sense. You were dropped into Lordran and Drangleic with nothing but a vague objective. You were never told precisely where to go, what you needed to do. All you knew was ringing the bells of awakening in Dark Souls would make something happen, just as collecting the souls of the Old Ones in Dark Souls 2 were necessary to meet the king. It was never clear from the outset what you were doing or why you had to do it. You just sort of stumbled into things and were left to figure thing out for yourself. The vast, open nature of those spaces were an extension of that. You and your character both were strangers in those lands, left to wander aimlessly. It made sense for them to be easy to get lost in because it helped establish the oblique nature of the world and narrative. 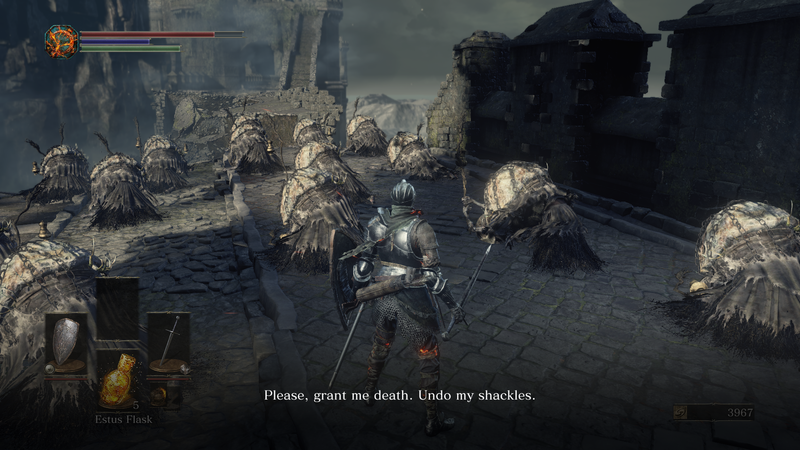 Dark Souls 3, however, is very forward. You’re told seek the Lords of Cinder and bring them to their thrones. You’re told to head to Lothric Castle. Then you’re directed to the world below. Hawkwood tells you about the Abyss Watchers and Anri about Aldrich, both mentioning the locations in which they dwell. You always know where you’re going and why, which is reflected in the linear lay of the land. There’s no reason to wander because you have very particular goals in mind and specific places to search. You don’t have a reason to wander, thus a larger world would have clashed with the nature of the narrative. 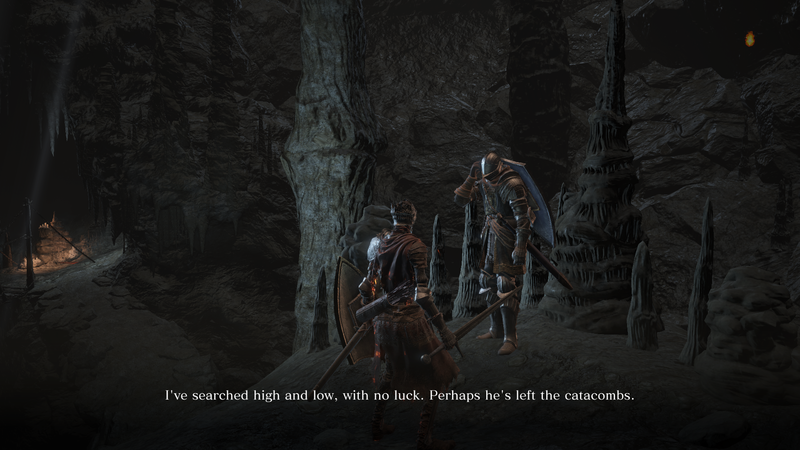 Also, given Lothric is by and large a familiar space, it makes sense that we wouldn’t feel lost. The lay of the land may be different, but we’re retreading old ground — literally. The reuse of all the series staple areas make sense in that regard. Of course there would be a swamp. Of course we’d explore skeleton-filled catacombs. It’s not just because those are part and parcel for the series (for better or worse), but because it helps establish where we are. It’s subtle at first — deceptive, even, since it all comes off as mere callbacks to past games — but once you reach that one area, it changes your entire understanding of the world. It’s like that moment in Bloodborne where the cosmic horror angle takes over and you have that sudden realization of “oh, that’s what’s going on.” It’s such a good reveal. Even if the world is smaller, though, it inspired the same sense of wonder that past games have. The moment where you’re just about to leave Lothric Castle and see the entirety of the game world before you was incredible. So was the reveal for Irithyll. Lot of great vistas. Not to mention the satisfaction of uncovering the Smouldering Lake or figuring out how to enter Archdragon Peak. I really like how well they hid those areas. Made them feel like actual discoveries when you found them. Fewer bosses were for the best, for sure. Less is definitely more here, as with the rest of the game. Each one felt distinct. I didn’t feel like there were any that played off the same ideas. Even the puzzle bosses, which are almost always terrible, are enjoyable and interesting. Figuring out the tricks for those fights was actually fun for once. It’s not like the Dragon God in Demon’s Souls or the Bed of Chaos in Dark Souls where, while their hearts were in the right place, the execution wasn’t great. The ideas here feel much more well-realized. But even then, they still largely feel like standard bosses. With one exception, you’re never engaging them in combat indirectly. You’re always right up on them, fighting as you would any other foe. You’re just targeting specific points instead. The bosses are easily the best demonstration of how much faster the game feels as well. There are so many that wouldn’t work in previous games. The Abyss Watchers are the most obvious example (they were basically lifted from Bloodborne in every way imaginable), but even ones like Gundyr or Sulyvahn feel like they wouldn’t have worked in Dark Souls or its sequel. They’re so fast and relentless. They’re specifically made to force you to give up on just raising your shield and absorbing each strike. You have to roll through attacks. You have to be as swift as the bosses are. It’s not quite on the level of Bloodborne, but it’s close. Also, I know I mentioned this before, but the music is so good. The soundtracks to the past couple Dark Souls games were fine, but this one is just fantastic throughout. The influence of the Bloodborne composers can definitely be felt. It’s so much more evocative. Even Sakuraba, the sole composer for the series up till now, is on point. I haven’t been the biggest fan of his work on the series before — a lot of the tracks for Dark Souls 1 and 2 lacked any sort of identity; they felt like generic orchestral scores that could have been slotted into any fantasy work — but his contributions here are very good. I really like how certain tracks are almost outright remixes as well. Aldrich’s theme echos that of Gwyndolin’s from the first game. Wolnir’s feels similar to Manus’. “Epilogue” is like a culmination of all the ending themes from the series, but “Return to Slumber” from Demon’s Souls especially. And of the course the theme for the final boss. It’s an incredible soundtrack all around. I agree. Dark Souls 3 is pretty much a straight arrow through and through, with direct suggestions and pretty obvious pushes towards whatever new objective’s next, rarely leaving you stuck in search of where to go. The realization of reaching old areas under an old coat of grime was a brilliant move by From, playing with our nostalgia but at the same time figuring out new ways of exploring the deep lore behind said places in the meantime. The same goes for the soundtrack that you mentioned. 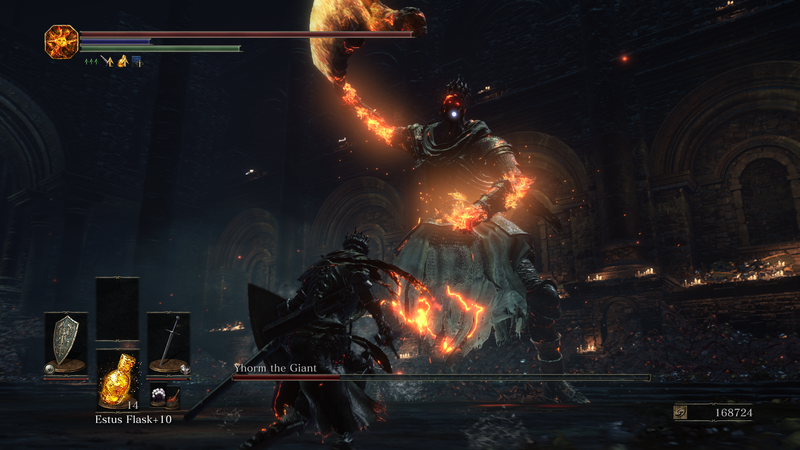 I had chills fighting Aldrich and slowly realizing what he is and what he’s done, not exclusively due to his looks, which call back to the bosses that fell under his rage, but also thanks to the thoughtfully composed orchestral track that plays during that particular fight. That one was probably the highlight of my experience, not only because the song was so embedded with memories from the original Dark Souls, but also because it was such a cool fight. The funny thing is that I just happened to be following an NPC’s story line up to that point, and it made use of the summoning system in reverse – that time, I got called into their world and helped them fight Aldrich. It took me a bunch of tries, we won, but the triumph didn’t last long. I had to then fight it again all on my own. Mind, at the time I was playing the game, it was still before release, with no one out there to call for help, so I had to rely on myself to carry out that task, which took me well over a couple hours. The good part in all of that, though, was acquiring a ton of knowledge for that fight, which made me unstoppable once I fought Aldrich again in new game plus and new game plus plus. That’s what makes these games so unique, the gathered knowledge that plays a role into actually turning you into a good player instead of the opposite. I agree with you in regards to the speed of this game. I felt it already when I played through the demo in a local convention I attended, months after finishing Bloodborne. That game built mental muscles that were still very much alive when I dove into that demo, which then carried over to the actual retail game. I practically did away with shields in my playthrough, instead focusing on dodging, with fantastic results. I personally don’t think Dark Souls should have ever relied so much on hiding behind a shield in the first place, and Dark Souls 3 really drives that point home. 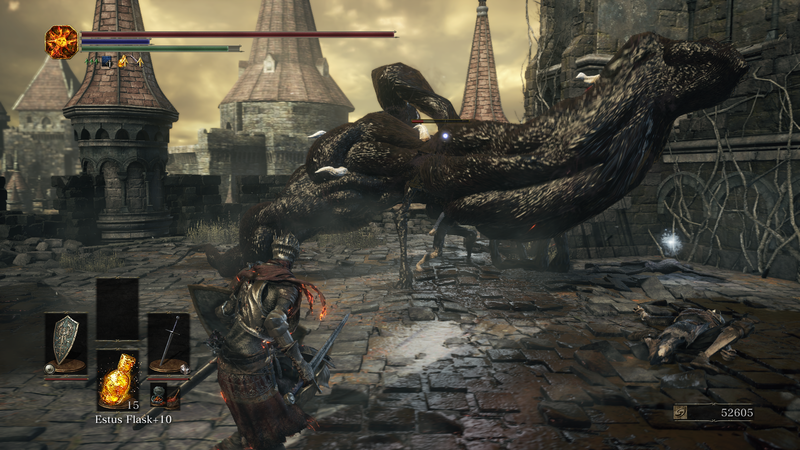 It’s much more enjoyable to get into a boss’ face, or even an invader’s. I also liked the idea of discovering new areas that aren’t directly tied to the critical path through the game. As I mentioned before, having played Dark Souls 3 before release, I was forced to go at it with only my wits as well as the often misinformed and obscure early internet postings relating to the game’s twists and paths. It was really neat, not only because it called back to the original Dark Souls‘ exploration model for its much larger world and limited travel methods sans bonfire teleportation, but because it was masterfully done within the confines of a smaller, more condensed map that against all odds, makes sense geographically, unlike Dark Souls 2‘s, which you went into detail in your review. Yeah, the way they incorporate summon signs into some of the side-quests was inspired. Makes them feel a little more connected to the world as opposed to a contrived explanation for why the multiplayer mechanics exist. Before now, it was always explained away as a consequence of the murky nature of the world, an excuse for how and why you can summon other players or be summoned by them to beat the same bosses. Never quite felt like good reasoning for those mechanics within the context of the fiction, though. Demon’s Souls is the only one that provided perfect context for it. 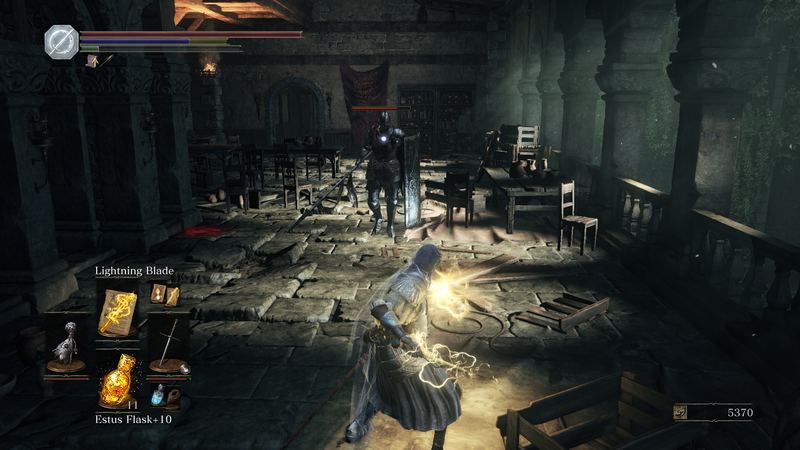 Having some NPCs use summon signs to call upon you and have them fight off their own invaders was a good call. Makes those elements feel more connected to the world. I have no idea what to expect from From Software’s next project. I’d prefer they make something different instead of another spiritual successor like Bloodborne. Much as I’d love to see them continue to experiment with the formula further by slapping different themes onto it, I think we’re due for a break before they continue iterating. Making another riff on this formula after effectively ending the series would detract from the finality that the game drives home. Besides, we’ve still got a couple of add-ons for Dark Souls 3 to look forward to. Not like we’ll be starved for more Dark Souls in the coming months. Curious to see whatever it is they’re working on, though. I said at the start of this discussion that it was bittersweet knowing this was the end for Dark Souls. So much of my free time these past few years have been spent playing these games. To think that it’s finally over is definitely a little saddening. But at the same time, I’m really glad they decided to end it. There’s a certain satisfaction that comes with seeing something come to end, let alone be allowed the opportunity. There was a period where I was worried this series would continue in perpetuity until it was run into the ground, but I’m glad those fears were unfounded. It’s good to see developers have a chance to stop making something — or at least step away for a good long time, because I’m certain they’ll return to the Souls formula eventually.